Seasonal (and Tributary) Ice Cream: Make your flavor, package and story attract consumers. It’s that time of year again for falling leaves, football games (some of us are still into baseball! Go Cubs Go!) and limited-time autumn- and winter-themed ice cream. Such seasonal products invite consumers to try something new. In fact, these products create an urgency to purchase, as limited-edition products are only in the freezer—or in the scoop shop--for a short period of time. When it comes to autumn in the U.S., apple, cranberry and pumpkin flavors have been known to make their way into almost every type of food and beverage. These flavors carry consumers from back-to-school madness to trick-or-treating and Thanksgiving. Then the egg nog, hot cocoa and peppermint flavors surface. Double H Plastics will showcase its packaging solutions at booth 7828 at Pack Expo November 6 to 9 in Chicago. In early October, the International Dairy Foods Association (IDFA) hosted a reception to honor Connie Tipton, IDFA president and CEO, to celebrate her 35 years of service to the association and the dairy industry. 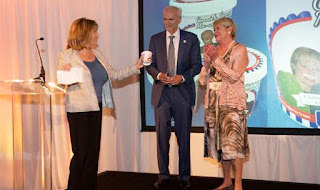 One of Connie’s successes during her tenure included getting President Ronald Reagan to designate July as National Ice Cream Month in 1984. At the same time he also designated the third Sunday of July as National Ice Cream Day. Connie educated the president on the fact that ice cream is a fun and nutritious food that is enjoyed by an overwhelming majority of the nation’s population. In fact, nine out of 10 U.S. households have some type of ice cream in their freezer at all times. The fact is, ice cream is one of a few “sweet treats” to actually provide nutritional value, as the milk ice cream is made from is a source of calcium, protein and other nutrients. 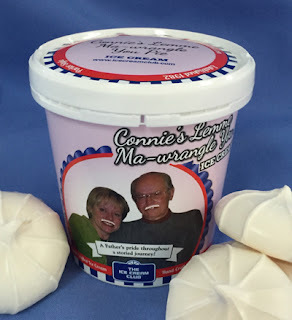 In recognition of Connie’s achievement and its importance to the ice cream industry, Rich and Heather Draper of The Ice Cream Club Inc., developed “Connie’s Lemme Ma-wrangle You Pie” ice cream. It combines the tart flavor of lemon with a sweet hint of meringue. Washington insiders will tell you resistance is futile! Acquiesce and enjoy a big helping of a decadent blend of sweet and tart lemon custard ice cream loaded with crunching meringue cookies and pie pieces. Memories of the past 35 years and the strong, unified voice forged for the Dairy Industry will have your “Milk Mustache” smiling. The flavor is sweet like the passage of the Farm Bill yet tart like the friendly banter of the opposition. The flavor replicates the intensity of Connie, who has always dreamed big and bold but has never forgotten the core values of integrity, trust and hard work! Thank you Connie, who will be retiring at the end of this year. And thanks to the Drapers for their product development efforts. In regards to ice cream, did you know that slightly more than 10% of all U.S.-produced milk is used to manufacture this delicious—and nutritious—frozen dessert? Ice cream production follows a clear seasonal pattern. Summer is the unchallenged season, with production kicking up in March and April to fill retail and foodservice pipelines in the late spring and early summer. June is the highest production month of the year, but production remains strong through August to satisfy summer demand. Production declines through the end of the year. However, savvy marketers now offer seasonal products that complement the flavors of winter holidays. Here’s what’s being served this year. Baskin-Robbins starting lifting spirits in early October in a deliciously cool way to celebrate Halloween all month long. The chain’s lineup of festive frozen treats includes the new Silly Monster Cake, which is frightfully friendly and festive. It can be customized with a guest’s favorite ice cream and cake combination. The chain also brought back its popular Pinata Pumpkin Patch Cake, which is dressed up like a jack-o-lantern and features a candy-filled center. When guests cut into the cake, a cascade of candy comes pouring out. Both cakes serves six to eight people. October’s Flavor of the Month is Trick Oreo Treat Dark. A spooky spin on a classic favorite, the new flavor features chocolate ice cream packed with orange creme-filled Oreo cookies, Baby Ruth and Butterfinger candy pieces, and a dark fudge ribbon. gets topped with Made With Snickers ice cream, candy corn, M&M’s Minis milk chocolate candies and is drizzled with fudge topping. “We’re excited to offer our guests a variety of eye-catching and delicious frozen treats to make Halloween parties and gatherings extra sweet this month,” says Jeff Miller, executive chef and vice president of product innovation for Dunkin’ Brands, owners of Baskin-Robbins. 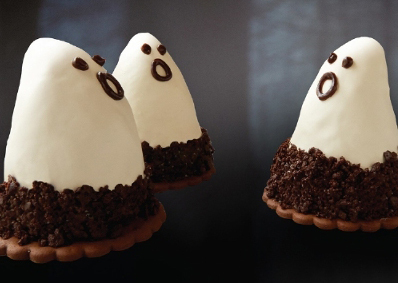 Carvel isn’t offering tricks for Halloween, just treats, with the return of its Lil’ Screamers Novelty Treats. The fall holiday lineup also includes Lil’ Gobblers and Lil’ Snowmen. Available October 14 through Halloween, Carvel Lil’ Screamers feature freshly made vanilla soft ice cream sitting on a Flying Saucer wafer and decorated to look like ghosts. Turning to turkey time next, Lil’ Gobblers will take the cake through Thanksgiving. These are made of premium vanilla ice cream coated in a chocolate shell and topped off with a whipped frosting design to look like miniature Tom the Turkey cakes. Following ghosts and turkeys, Lil’ Snowmen also sit on a Flying Saucer wafer and are decorated with blue frosting scarves and ear muffs. They will be available through December 31. Cold Stone Creamery is offering Pumpkin Cheesecake Ice Cream, Creme Brulee Ice Cream and the Pumpkin Cheesecake Ice Cream Pie this holiday season. In the retail packaged side of the business, Snoqualmie Ice Cream is rolling out a brand-new seasonal flavor, along with the return of two holiday favorites: Pumpkin Custard and Peppermint Stick Gelato. The new offering is Sun Liquor Fancy Egg Nog Frozen Custard. 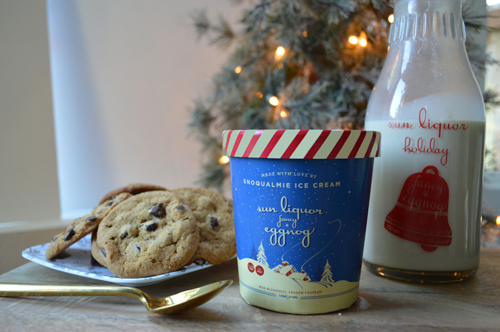 Sun Liquor has been crafting its custom famous egg nog for 10 years, and for the first time they partnered with Snoqualmie Ice Cream to create a non-alcoholic ice cream version of this wonderful seasonal classic. 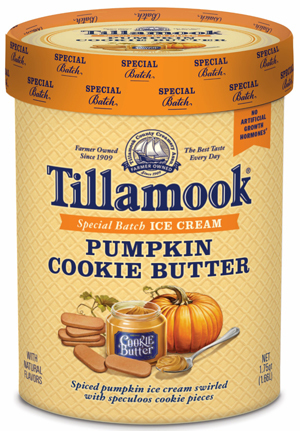 Tillamook also has two new artisan ice creams for the holidays. They are Pumpkin Cookie Butter, which is spiced pumpkin ice cream swirled with speculoos cookie pieces, and White Chocolate Peppermint Bark, which is white chocolate ice cream swirled with peppermint crackle and bark pieces. Wells’ Enterprises Inc., is getting in the holiday spirit and has its new Blue Bunny brand ambassador Blu spreading the cheer. Cocoa Bunny is chocolate ice cream with marshmallow swirl and chocolate-flavored marshmallow bunnies. There's also Peppermint Patty, which is peppermint-flavored ice cream with fudge swirls and peppermint-filled red and green bunnies. 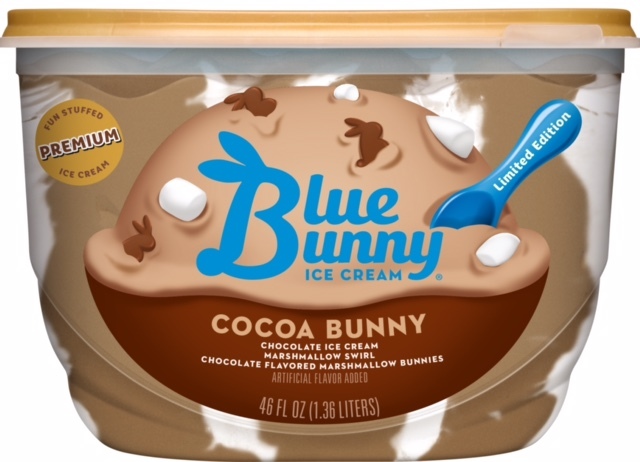 Earlier this year, the brand announced it was on a renewed mission to bring even more fun and excitement to ice cream through product enhancement, packaging innovation and the introduction of Blu, who is featured in the brand’s advertising campaigns. 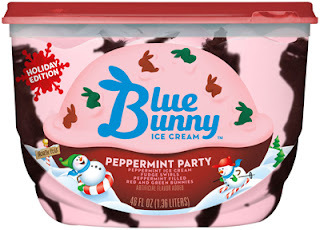 Blue Bunny showcases its 46-ounce and new quart-sized line of fun-stuffed packaged ice creams, including the two new seasonal treats, in see-through packaging to let consumers instantly establish at point of purchase that Blue Bunny ice creams are fun-stuffed quality through and through. The transparent containers are recyclable and BPA free, as well. I was fortunate to visit Wells’ Enterprises this spring and interviewed keys leaders about their very aggressive food safety program. The article was published in Food Business News online and can be accessed HERE. Velvet Ice Cream is bringing back two seasonal favorites--Pumpkin Pie and Pure Cinnamon—and introducing Peppermint Stick ice cream. 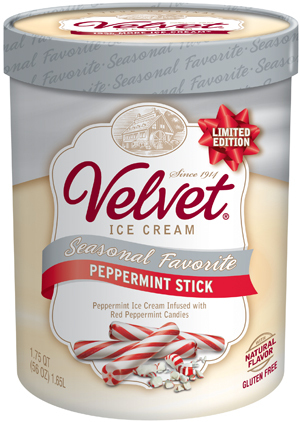 Peppermint Stick is made from peppermint ice cream infused with red peppermint candies. 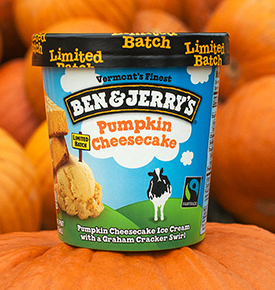 Ben& Jerry’s is bringing back Pumpkin Cheesecake. And, as expected, with elections right around the corner, the brand must speak its mind. That’s what you get with EMPOWER Mint. This is a new peppermint ice cream with fudge brownies and fudge swirls. Democracy is in your hands! This fudge-filled flavor reflects our belief that voting gives everyone a taste of empowerment, and that an election should be more “by the people” and less “buy the people.” We all deserve an equal serving of democracy. 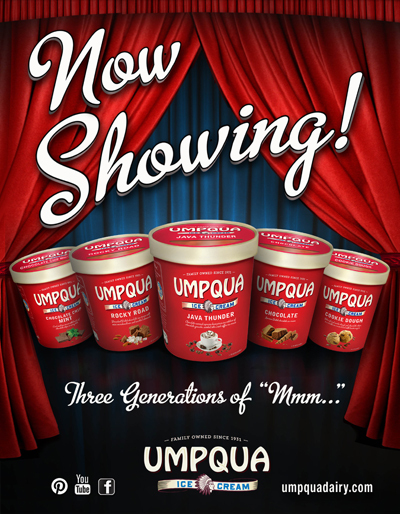 After three generations and 85 years, Umpqua Ice Cream decided it was time for a makeover. 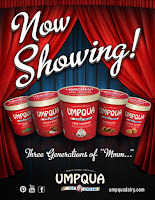 Just last month, Umpqua Dairy debuted its new look. The retro-themed carton showcases individual ice cream flavors, while still honoring the family heritage of the iconic “red round” package. Along with the new design, the company has eliminated high fructose corn syrup from all ice cream recipes and inclusions. And, in conclusion, as the beautiful, clean and safe city of Chicago prepares for this weekend’s World Series games, a special nod goes to Carvel for its baseball mitt-shaped ice cream cake. Go Cubs Go! The Salon de l’Alimentation, or simply SIAL, took place this week in Paris. I was fortunate to attend this biennial event and will be showcasing innovations from the expo as a Daily Dose of Dairy. This blog will focus on global cultured dairy product innovations. This international trade show attracted more than 7,000 exhibitors, representing more than 100 countries. The expo just ended, so the final attendee numbers are not available; however, organizers say this year’s figure should exceed the 155,766 visitors from 194 countries who attended the 2014 exposition. To read about general trends and innovations outside the dairy segment, please link HERE to a column I wrote for Food Business News. SIAL focuses on innovation. Exhibitors are encouraged to emphasize new products in their stands--more than 75% identify items as “nouveau produit”--and to enter the expo’s annual SIAL Innovation Awards. This year, 2,189 products were entered into the competition, with 552 products selected as finalists. Awards and recognitions are distributed in various categories with gold, silver and bronze awards given to the overall innovation winners at a special ceremony, which was held on Oct. 17. Link HERE to a slideshow of the winners. Photo source: Bush Brothers & Co. According to research presented at the SIAL Innovations 2016 exhibit, the dairy sector is currently the world’s most innovative product category, replacing non-alcoholic beverages, which held the top spot the previous three years. What a time to be in dairy! Let’s explore some recent innovations. This parfait is not something I saw at SIAL, rather it was a new product concept from Bush Brothers & Co., manufacturers of an extensive line of cooked, ready-to-eat beans. 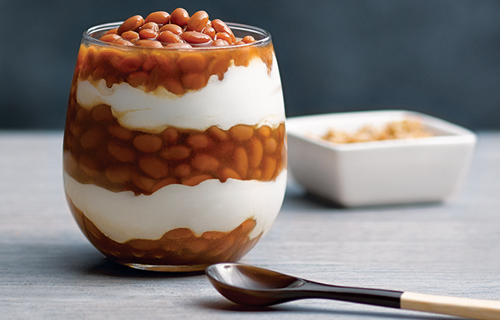 This product--an unexpected yet enticing parfait featuring nutrient-packed layers of plain Greek yogurt and Bush’s Best Bean Pot Maple Baked Beans—exemplifies out-of-the-box thinking when it comes to formulating cultured dairy products. As more consumers actively explore vegetarian and flexitarian lifestyles, such combinations of animal protein and plant protein will gain traction. Savory flavors are also growing in this sector. Imagine this bean and yogurt parfait with additional textures and toppings, such as sweet potato strings, toasted oats or diced vegetables. Savory is the name of the game for Switzerland’s Zuger Frischkase, a cottage cheese with a savory topping that was a SIAL Innovation finalist. This 140-gram dual-compartment product houses whole milk cottage cheese on the bottom and a savory blend of dried vegetables and seeds in the attached dome. Each single-serve container provides 190 calories, 9.5 grams of fat and 15 grams of protein, making this a very satiating snack or meal replacement. Family-owned French company Triballat Noyal had numerous products that were SIAL Innovation finalists, both dairy and dairy alternatives. 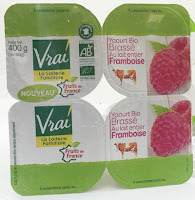 This includes Vrai-branded organic whole milk stirred yogurt made with French-grown organic fruit from traceable sources, which supports the brand’s commitment toward transparency and quality. The Vrai brand is determined to manage the entire production chain. The four varieties—Apricot, Lemon, Raspberry and Strawberry—are produced in a dedicated kitchen in Haute-Savoie. The product comes in a multi-pack of four 100-gram pots. Also under the Vrai brand is a new line of Bourbon Vanilla Fromage Frais especially for restaurants and the catering sector. The organic product contains only 2.9% fat and comes in 100-gram pots. With its creamy texture flecked with Bourbon vanilla specks, this natural source of calcium and protein is also an indulgent dessert. 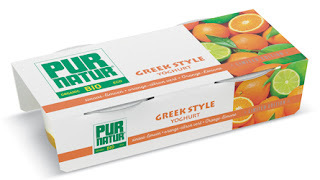 PUR NATUR, an organic Belgian dairy that uses only fresh, organic Belgian milk sourced from local farmers, is growing its product range with organic full-fat, cup-set Greek-style yogurt. The yogurt comes in four varieties—Honey, limited-edition Orange Lime, Peach and Strawberry—with the flavorful ingredient in the bottom of the pot. The yogurts come in two packs of 150-gram single-serve cups. 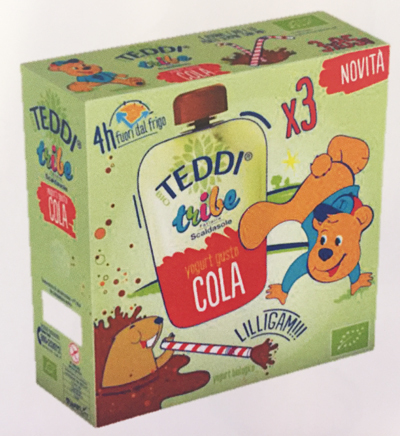 Italy’s Fattoria Scaldasole is expanding its range of organic Teddi Tribe kids’ yogurts to now include three pouch products. Sold in packs of three 85-gram pouches, the flavors are Cola, Cotton Candy and Strawberry. Scotland’s Graham’s The Family Dairy, produces an extensive range of dairy product’s using local Scottish milk. 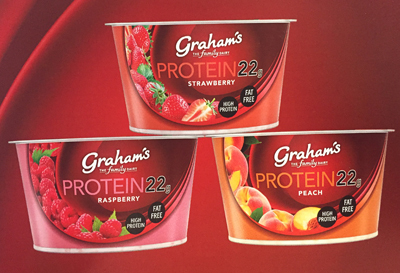 The company is expanding its quark range with the new Protein 22g line. 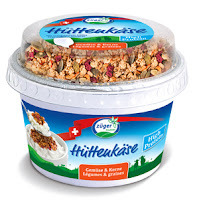 Each 190-gram pot of quark contains 22 grams of protein and no fat. This soft, spoonable cheese comes in three varieties. They are: Peach, Raspberry and Strawberry. PPH Maxpol Sp Z.O.O., Poland, was a SIAL Innovation 2016 finalist for DayUp, a five-variety shelf-stable, no-sugar-added dairy product line that combines fruit mousse, yogurt and cereals. 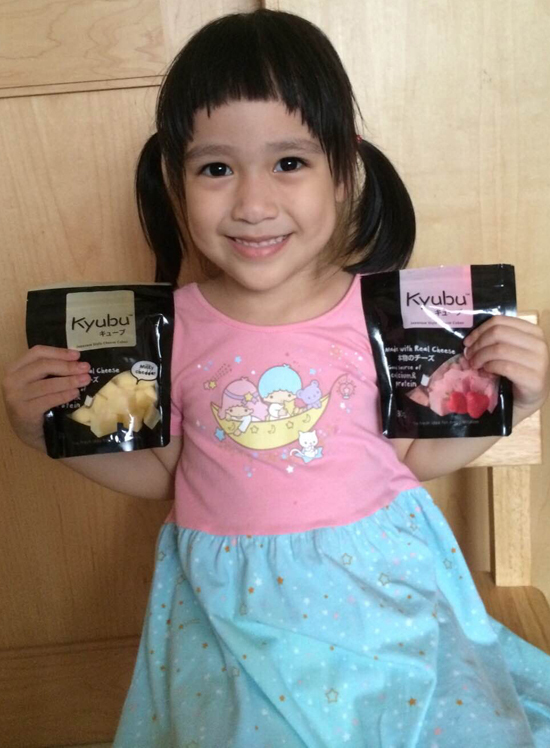 The product is targeted to on-the-go adults and comes in a convenient pouch. DayUp Blue is a blend of banana, natural yogurt, pear, blueberry, quinoa flakes and oat flakes. DayUp Green is a blend of apple, natural yogurt, strawberry, plum, millet flakes and oat flakes. DayUp Orange is a blend of peach, natural yogurt, honey, oat flakes, orange and millet flakes. DayUp Red is a blend of apple, strawberry, sweet cherry, natural yogurt, oat flakes and linseed. DayUp Yellow is a blend of apple, natural yogurt, banana, pineapple, coconut, quinoa flakes and oat flakes. 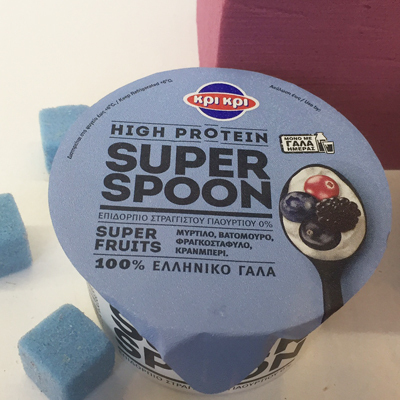 Greece’s Kri Kri SA Milk Industry was also a SIAL Innovation 2016 finalist for its line of Super Spoon Greek Yogurt. Made with 100% Greek nonfat milk, the yogurts are said to be loaded with superfruits. Varieties include: Banana, Mango, Linseed and Cereals; Blueberry, Blackberry, Black Currant and Cranberry; and Pomegranate, Raspberry and Goji Berry. At SupplySide West a few weeks ago, Ingredia showcased a new “Refuel” concept, which is a high-protein fruit compote combined with the company’s proprietary native milk protein isolate that is more than 90% protein and is low in carbohydrates with a low lactose content of 1%. The protein is extracted by filtration, a non-denaturing process. Through the non-denaturing process, the ingredient contains both micellar casein (80%) and native whey (20%) in the same ratio as skim milk. The lactose-reduced content of this protein allows the formulation of products with low- and reduced-lactose content claims. The high-protein fruit compote contained more than 9 grams of protein in a 4-ounce pouch with no added sugar. Winning with Dairy, especially Cheese! 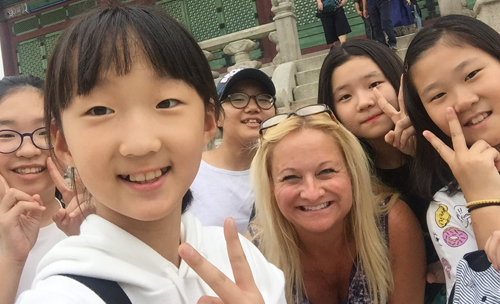 A few weeks ago I was fortunate to visit Seoul, Korea, as a guest of the U.S. Dairy Export Council. I was invited to speak with food innovators about the opportunities in developing products using U.S. dairy ingredients, namely proteins and cheese. 1. Every member of the household wants to be recognized as unique, with products tailored to their distinct needs and desires. 2. Millennials eat based on experiences rather than sustenance, but as they enter parenthood, nutrition becomes more important. 3. Consumer’s increasing familiarity with dairy and dairy ingredients is contributing to growing household consumption of real foods. Cheese can be designed to address all of these points. To read more about the seminar, link HERE. Koreans enjoy cheese on burgers and pizza; however, as an American, it was interesting to see their unique spin on cheese. I think there’s something for others to learn regarding opportunities in cheese. Imagine my amazement when I was able to purchase grilled no-melt cheese on a skewer at a street market. A few stands down, cheese was being fried with potatoes and served as a plated meal. The emphasis was always on the cheese, with consumers embracing it as a protein, much like they would chicken kebabs or traditional barbecue. There’s opportunity for cheese makers around the world to adapt to shifts in the consumer and market landscape by creating new forms, new flavors and even nutritionally superior products, which encourages new consumption occasions. For example, think about this: the health benefits of green tea and ginseng have been praised for generations for their holistic goodness. Why not pair these powerhouse ingredients with a mild-flavored cheese such as Monterey Jack to make a “relaxing, destressing” snack? The new cheese would naturally fuel the body, mind and soul. Cheese is a powerful way to deliver essential nutrients. Why not add more good stuff? To watch a video about the opportunities, link HERE. For long, many feared the fat content of cheese. Advancements in science now indicate that we no longer need to avoid cheese because of its fat component. In fact, milkfat, combined with the high protein content of cheese makes a very satiating food. Some studies suggest that satiating foods assist with weight loss and weight management. Who knew cheese may be a diet food? A recent randomized control study concluded that high intake of regular-fat cheese compared with reduced-fat cheese does not affect LDL cholesterol or risk markers of the metabolic syndrome. To read more about this study published in the American Journal of Clinical Nutrition, link HERE. Here’s an innovative cheese product being produced in Japan using Australian cheddar and Gouda cheeses. Large blocks of these natural cheese are transported to Asia where they are processed, flavored and formed into snacking cubes and sold under the Kyubu brand. Flavors include Chocolate & Almond, Milky Cheddar, Nacho, Orange Yogurt and Strawberry. 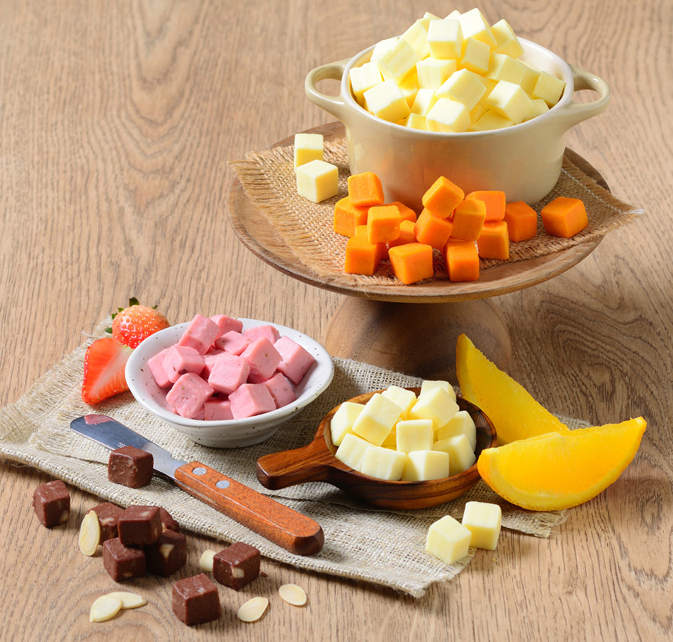 The Japanese-style cheese snack cubes hit the shelves through a retail supermarket chain in Thailand in July and in Singapore in September. The flavors were designed to encourage trial in these Asian countries where cheese consumption is still in its infancy. Take note. Asians eat less than 10% of the world’s cheese but their appetite is growing fast. The numbers tell the story. Cheese consumption in Asia rose from about 550,000 tons in 2000 to slightly more than a million tons in 2012. It is expected to reach 1.65 million tons by 2020. 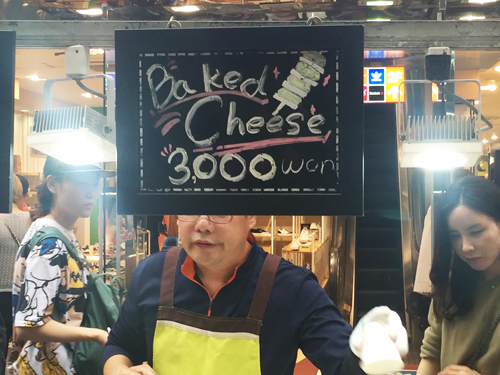 Indeed, there’s an opportunity in Asia, but there’s also an opportunity in most countries to increase cheese consumption by offering new forms, new flavors and nutritionally superior products. The 45th Midwest Regional Collegiate Dairy Products Sensory Evaluation Contest will be held on Saturday, Oct. 22, 2016, at the KraftHeinz Technical Center in Glenview, IL. The contest is jointly sponsored by the Chicago Dairy Technology Society, KraftHeinz Company, and the Collegiate Dairy Products Evaluation Contest. This contest is designed to test the sensory evaluation skills of dairy science and food science and students at universities around the U.S. The students work with their professors and advisors to learn the attributes and defects associated with six categories of dairy products. Those products are milk, ice cream, cheddar cheese, cottage cheese, butter and yogurt. Every product has its own standard for flavor, body and texture, and mouthfeel. Each has its own list of specific defects. During the contest, industry experts rate the samples and assign a score based on a standardized rating system. The students then go through the contest evaluating the same samples. The winning score is the one that most closely matches the official card. The Midwest Regional Collegiate Dairy Products Sensory Evaluation Judging contest is open to any university that has a Food Science or Dairy Science program. The teams are made up of junior and senior undergraduate students, with a separate division for graduate students. These students go on to become the dairy and food professionals in our industry. The training they receive for this contest is a critical component of their food science education. It is a great experience. Many of the contest volunteers from the industry have participated as student contestants. Currently nine universities are registered to compete. They are: Clemson, Cornell, Iowa State, Michigan State, Minnesota, Missouri, South Dakota State, Tennessee and Wisconsin. The national Collegiate Dairy Products Evaluation Contest will be held April 12, 2017, in association with the Wisconsin Cheesemakers meeting in Madison, WI. For more information, link HERE. With advancements in clean-label ingredients for coloring, flavoring, sweetening and stabilizing nutrient-dense milk, there’s opportunity for processors to offer more innovative flavored milks to compete in the beverage business. According to a hot-off-the-presses report from Mordor Intelligence, the global flavored milk market was valued at around $48 billion in 2015 and is expected to grow about 4.2% annually from now until 2020. This growth is being driven by unscheduled eating habits due to busy lifestyles and increased demand for convenience foods. The rising health consciousness of consumers is also helping the growth of this market, as flavored milk contains many nutrients, including protein, calcium, potassium and magnesium. In developing markets such as Brazil, China and India, urbanization is another major driver of this market, as the increasing per capita income, along with changing consumer preferences, boosts the demand for flavored milk. However, substitutes like soft drinks and plant protein drinks pose a major threat to the market. Innovation helps the fight against the substitutes market; hence, processors are introducing new flavors to attract customers, according to Mordor Intelligence. Chocolate-based milk beverages lead the market, followed by fruit-based flavored milk, with the latter being so much more than the strawberry flavor that has long been popular in the U.S. and Europe. Apple, banana and even orange are flavors driving innovation. The Asia-Pacific region leads the global flavored milk market with more than 60% share, regarding revenue, followed by North America. The market is expected to grow further in Asia-Pacific, due to high milk production in the region. China takes the largest market share, regarding revenue, followed by the U.S. and India. However, the market is expected to grow at a steady pace in South America and parts of Asia, according to Mordor Intelligence. The flavored milk market is as dynamic as the rest of the overall beverage business. The overarching trends of less sugar, simple labels, higher protein, nutrient density and ingredients from sustainable sources can all be addressed by flavored milk products. To read more about formulating flavored milk with stevia, link HERE. Who is the largest consumer of flavored milk? According to Mintel’s Dairy 2016 Report, Millennials stand out as being the most active drinkers of dairy, with more than half of those surveyed saying they drink more than five types of dairy milk. For dairies, this trend marks an opportunity to launch new and different tasting milk beverages that appeal to the demand for variety as well as health and nutrition. Flavored milk options, such as drinkable breakfast beverages and post-workout drinks, have the potential to add variety and enhance the consumer dairy experience by offering taste, nutrition and convenience. According to the Mintel report, two thirds of consumers agree that milk (67%) is naturally nutritious compared to 60% for dairy-alternative beverages. In addition, consumers are more likely to agree that milk is free of additives (81% vs. 62% for alternatives). What’s more, 86% of consumers view milk as fresh compared to 63% who agree dairy alternatives are fresh. Positive attitudes toward milk’s freshness and nutrition is promising for the category as the top attributes consumers look for when purchasing milk are natural (43%) and vitamin/mineral content (34%), while one in five (21%) look for organic options, driven by 28% of parents. Furthermore, 82% of consumers believe milk offers a wide variety of flavors in comparison to dairy alternatives (61%). In fact, the flavored dairy milk segment posted 5% gains from 2014 to 2015, according to Mintel data. “While consumer trends are not favoring dairy milk, brands have an opportunity to re-engage consumers by developing innovative offerings that focus on improving already favorable aspects such as taste profile and nutritional value. It’s also important for brands to highlight that dairy milk is not just beneficial for bone health, but may also provide other benefits for consumers’ overall well-being as compared to non-dairy milk,” said Elizabeth Sisel, beverage analyst at Mintel. According to data from IRI provided to Dairy Management Inc., and courtesy of the Midwest Dairy Association, total fluid milk sales performance in 2015 to 2016 has improved from previous years. All channel volumes continue to be down slightly in 2016, as of August 7, 2016, yet there are pockets of positive momentum in both retail and quick-serve restaurants. While total retail fluid milk sales are down 2%, flavored milk continues to be a bright spot, delivering an impressive sales lift of 7.4% thus far this year. What’s more interesting is consumers renewed interest in fuller-fat milks. 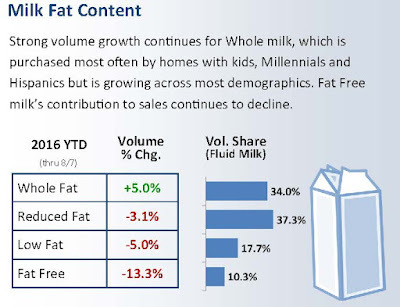 Whole-fat milk retail volume sales thru August 7, 2016, were up 5% and have 34% share of market. 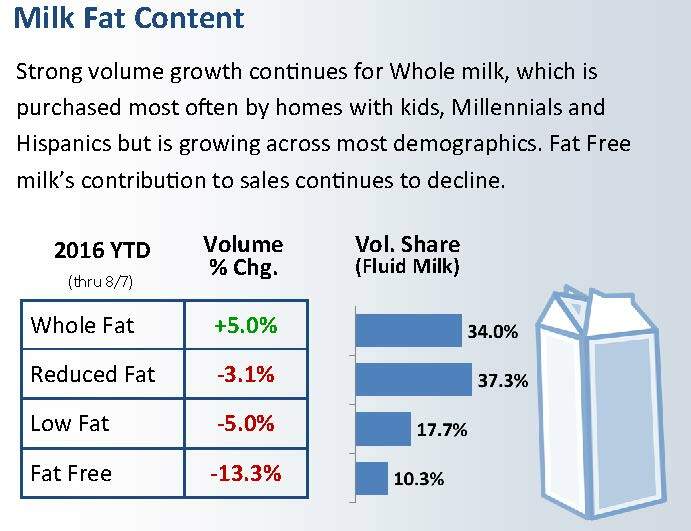 This strong volume growth for whole-fat milk is being driven by homes with children, Millennials and Hispanics. Fat-free milk, on the other hand, is down more than 13%. Fat-free milk has historically been the preferred variety by Baby Boomers and seniors, who today are drawn to other beverages in the market, namely dairy alternatives. The foodservice market is also a source of milk growth, primarily in the form of coffee. Specialty coffees such as lattes contain a serving of milk in each coffee serving, providing consumers with a treat, an energy boost and nutrition, according to IRI. Here are 10 recent flavored milk innovations from around the world. For starters, watermelon-flavored milk is something new to Asian markets, but quickly becoming a popular flavor. It tends to be made with watermelon juice extract and fat-free or low-fat milk for a lighter, more refreshing beverage to better compete with soft drinks and juices. In the U.S., Dean Foods continues to grow its TruMoo brand with limited-edition flavors. Cookies ‘n Cream debuted during the summer months, while Orange Scream is being offered around Halloween. The TruMoo brand is all about being lower in sugar, as compared to other flavored milks. Bam has launched two varieties—Banana and Chocolate—of flavored whole milk in the U.K. The grab-and-go shelf-stable milks are described as “made with real milk and no junk.” They contain no refined sugars, artificial flavors, colorings or preservatives, and are suitable for vegetarians. The chocolate milk drink is made from whole milk, cocoa and honey. Banana is the same, except instead of cocoa, the drink contains banana puree. Three sisters in South Africa established a Brown Swiss dairy farm in 2009 and today offer a varied number of indulgent dairy products made from the milk. They offer eight flavors of Deney’s Swiss Dairy Full Cream Milkshakes. The flavors are: Bubble Gum Gelato, Caramello Cream, Don Pedro, Heavenly Lime, Iced Cappuccino, Strawberry Ice, Swiss Chocolate and White Chocolate. 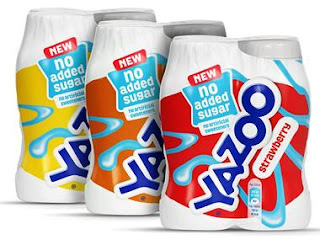 In the U.K., retailer ASDA offers a line of private-label flavored milks in traditional flavors such as Chocolate, Strawberry and Vanilla, as well as limited-edition indulgent options like Blueberry Muffin and Strawberry Shortcake. These colorful, flavorful variants use fruit and vegetable juices for color and natural flavorings. 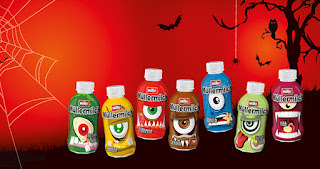 Also in the U.K., Müller continues to grow its FRijj milkshake portfolio. The two most recent additions are MMMango & Passionfruit and Loaded Choc Orange. The latter delivers a full-on taste experience and innovative flavor blend, refreshing the brand’s core range and adding excitement to the flavored milk market, helping to drive new consumers to the category, according to the company. The unique packaging design features swirls of chocolate and orange designed to stand out on shelf and attract shoppers to the dairy drinks shelf. Next, new FRijj MMMango & Passionfruit 40% Less Sugar combines two on-trend fruit flavors. The eye-catching packaging features the company’s recognizable 40% Less Sugar light blue swirl. Other flavors in the FRijj line include: Burst of Banana, Choc-a-Chocolate, Full-on Fudge Brownie, Mucho Cookie Dough and Seriously Strawberry. Müller is investing heavily in the milkshake brand, which includes bringing back FRijj to TV screens following a three-year hiatus. The company’s ambitious plans are to achieve double-digit growth over the next 12 months. The new TV advertising and social media campaign is designed to excite consumers and encourage them to feel #TheURjj! The creative for the campaign, which aims to resonate with 21 to 29 year olds, comprises a three part, sitcom-style mini-series, and features two housemates battling over drinking a Müllerlicious FRijj. Friesland Campina now offers no-sugar-added Yazoo flavored milks. The new 200-milliliter line comes in three flavors: Banana, Toffee and Strawberry. The company says it has found a way to use the sugar found naturally in milk to sweeten the milk so that it does not need to add any sweetener. Natural flavors assist with sweetness, too. Daioni long-life (14-months unopened shelf-stable) flavored organic milk is low in fat and sugar content and contains only natural colors and flavors with no artificial additives or preservatives. 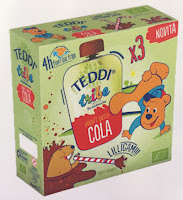 It is fully compliant with the nutritional guidelines for schools in the U.K. with less than 5% sugar. 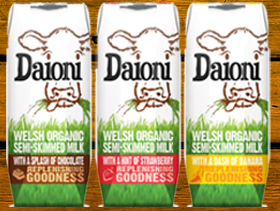 Daioni long-life flavored organic milk is also available in Mainland China, Hong Kong and the United Arab Emirates. Flavors are: Banana, Chocolate and Strawberry. Without a doubt, Müller Germany is one of the most innovative flavored milk marketers. For Halloween, the company has dressed up its single-serve bottle line in monster costumes. The flavors are: Banana, Cherry Banana, Chocolate, Nocciola Nut, Pistachio Cocos, Strawberry and Vanilla. There’s also new limited-edition Banana Caramel in the premium line, and two seasonal fall flavors. They are: Chocolate Mint and Honey. The Müllerfrucht Buttermilk line has four new winter flavors. They are: Apple Strudel, Orange Sanddorn, Pear Quince and Red Grape Blackberry. Famous House offers Taiwan flavored milk in cans, 340 and 500-milliliters. The shelf-stable milks combine fresh juice with New Zealand powdered milk and come in four flavors. They are: Apple, Banana, Mango and Papaya. Current distribution is in Australia, China and the U.K.